Humor is a universal and ubiquitous facet of human communication, but is among the hardest to process in artificial intelligence environments. 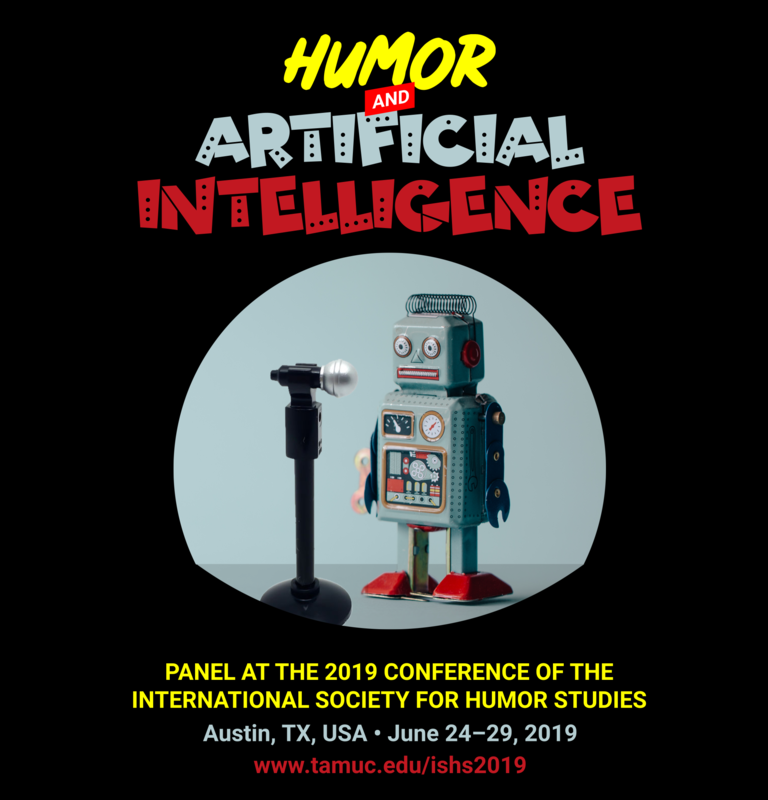 The 2nd Panel on Humor and Artificial Intelligence at ISHS 2019 solicits abstracts on the computational representation, detection, classification, interpretation, and generation of any and all forms of verbal or non-verbal humor. Abstracts of up to 200 words should be submitted on the ISHS 2019 website by March 15, 2019. Please note that your submission is intended for this Panel in the remarks box of the submission site. Notification for abstracts received by February 1, 2019 will be on Febuary 15, 2019, which will allow authors to meet the early (discounted) registration deadline of March 1, 2019. All other abstracts will have notification on March 30, 2019, in time for late conference registration on April 1, 2019. Authors of accepted abstracts will give a 30-minute presentation (20 minutes talk + 10 minutes for questions) at the conference. The conveners are presently making arrangements for full papers to be published in a special journal issue; details TBA.